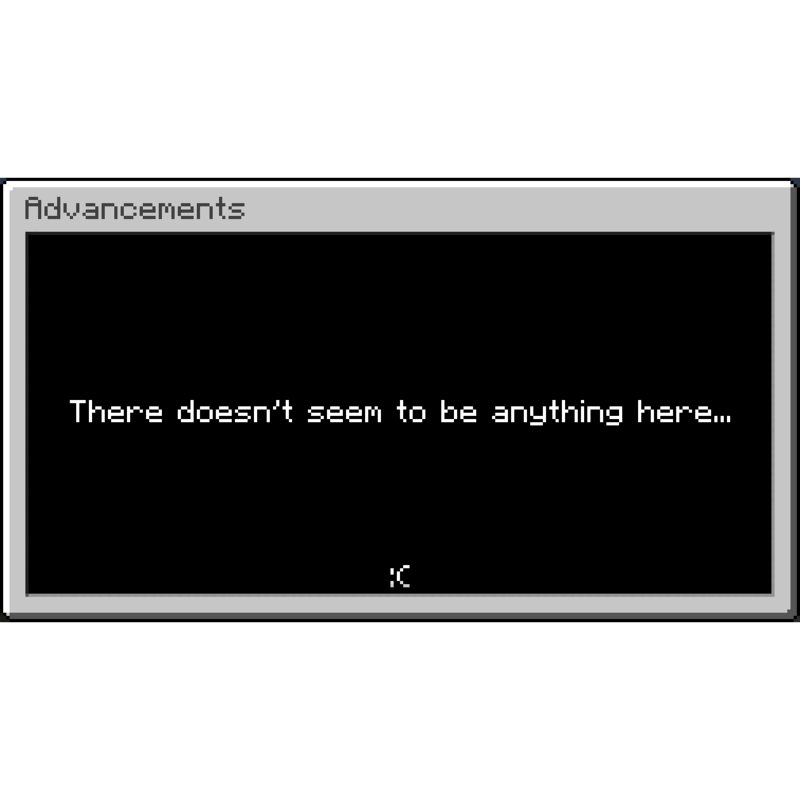 For whatever reason you may want, this mod will remove ALL Advancements from the game, it can be used to fix crashes (Some Advancements cause crashes) or you may just want to remove Advancements for no reason, this mod will allow that! Thank you for this project. I wonder if it removes only the Vanilla advancements (not the modded ones) ? I guess. For all of you who wants the mod author to backport this mod, 1.12 is the first version to introduce advancements. I absolutely recommend this mod for massive mod packs. It solved a large amount of lag in my game considering that when you have 120 mods at once and it's keeping track of 8 to 900 advancements. Thanks for this. You should back port this one.